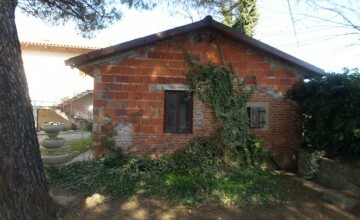 restoration works the stone facades were covered with plaster (which can be removed). 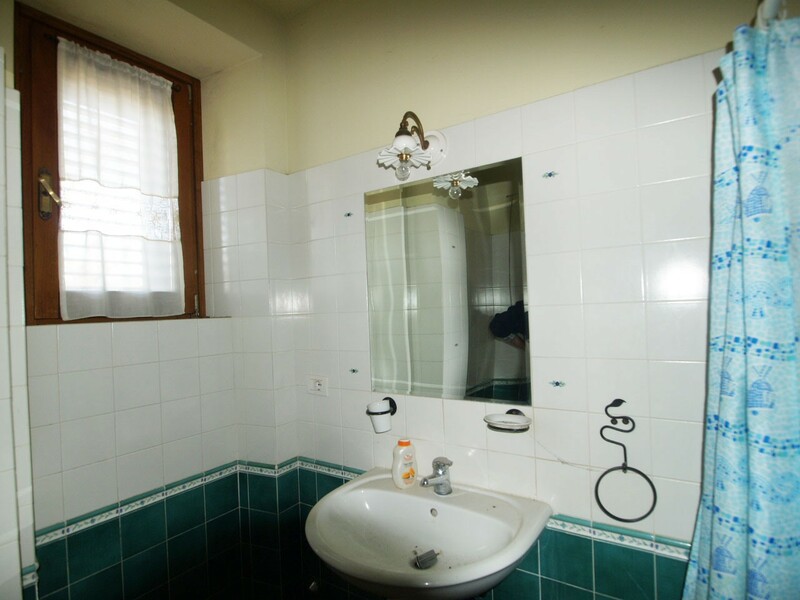 Unfortunately, also the original beamed ceilings were removed – typical for refurbishing activities in those times. 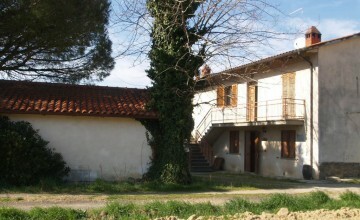 The house is now divided into two, independent apartments. 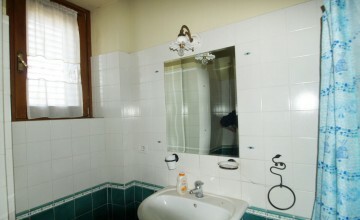 Ground floor unit was recently restored with high quality materials. 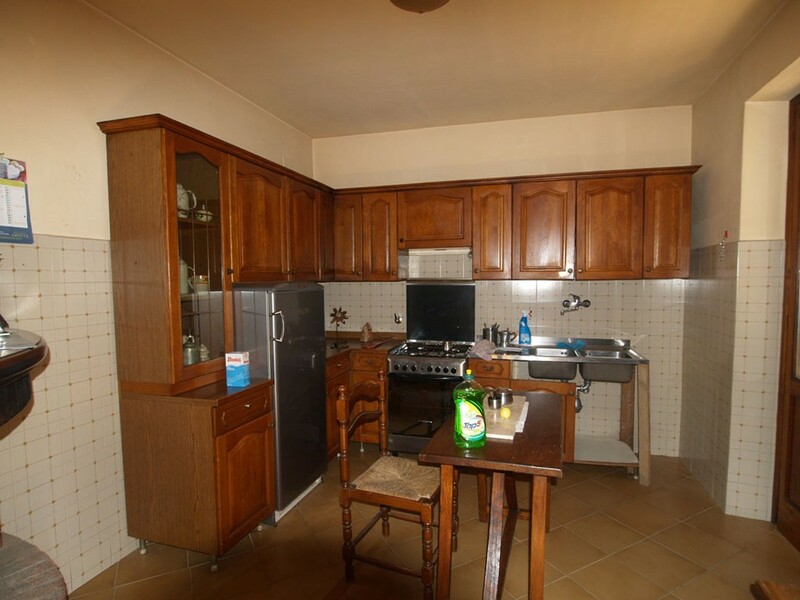 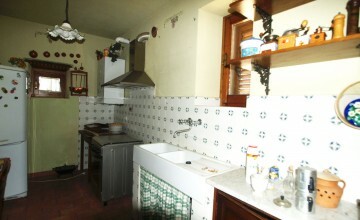 It features a sitting room, kitchen, two bedrooms, two bathrooms and a store. 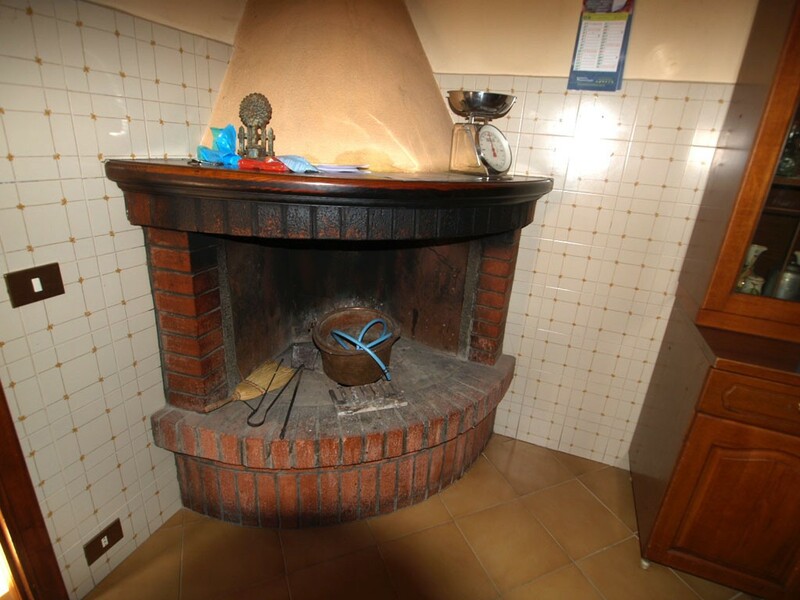 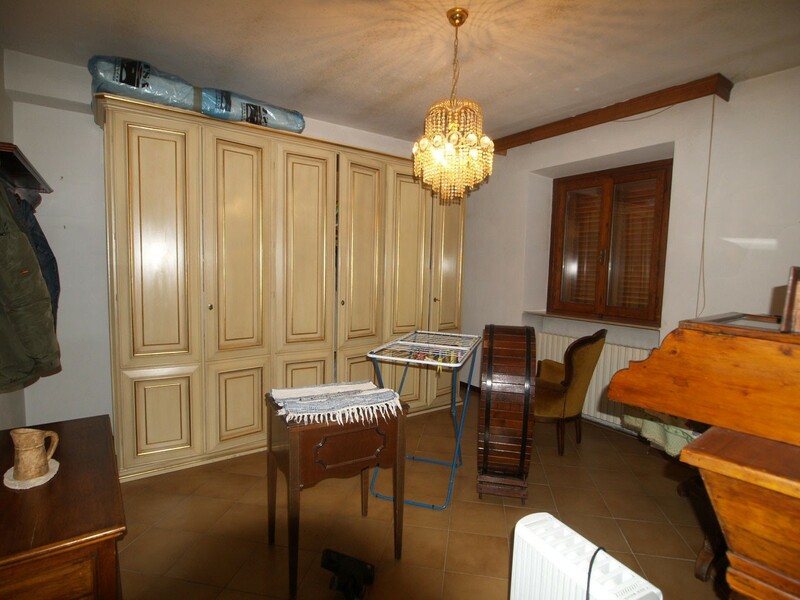 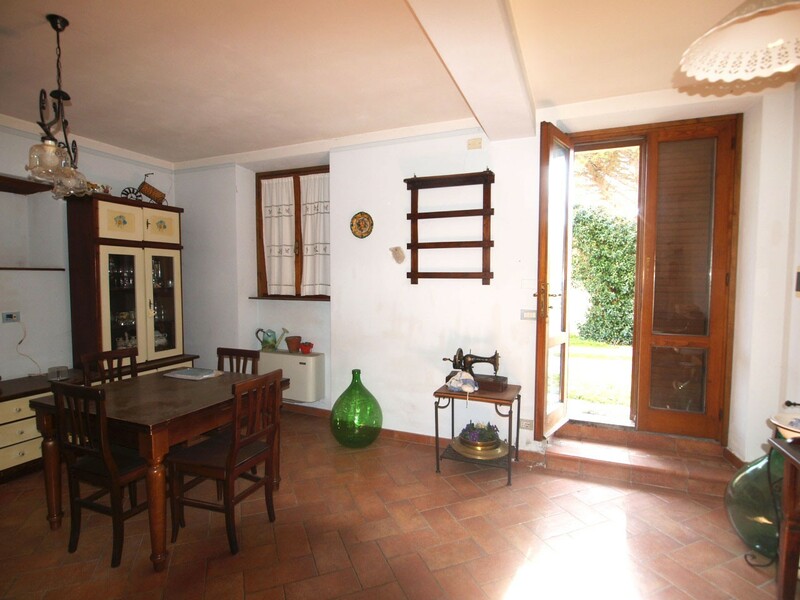 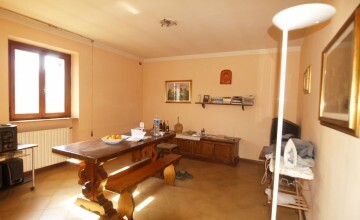 The first-floor apartment with access through external staircase, is divided into a sitting room, kitchen with open fire place, two bedrooms, bathroom and a large store/laundry. 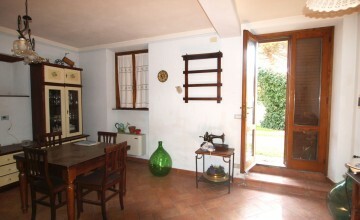 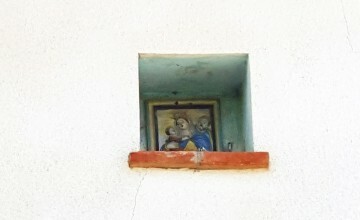 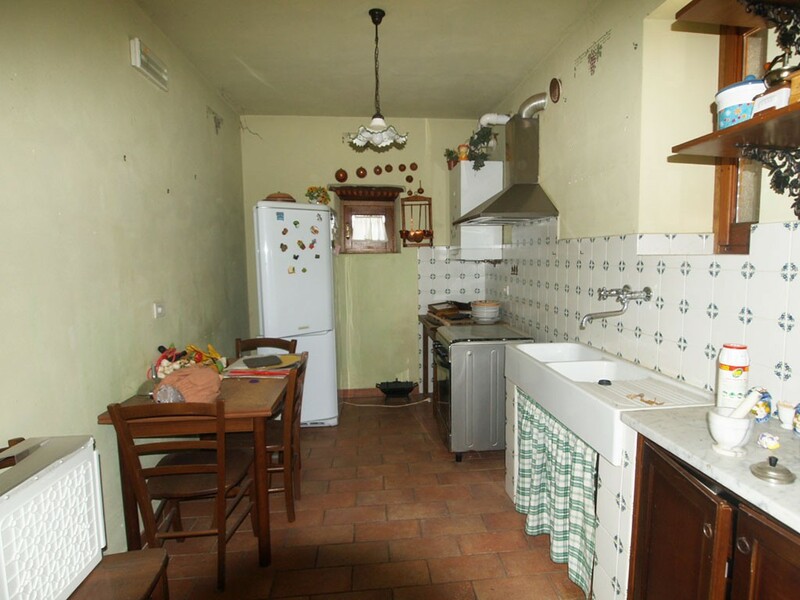 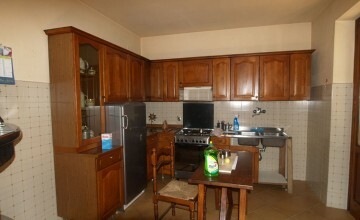 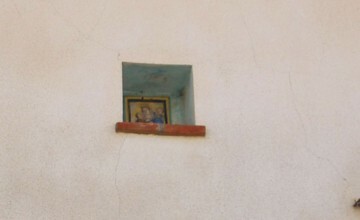 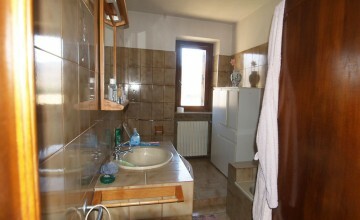 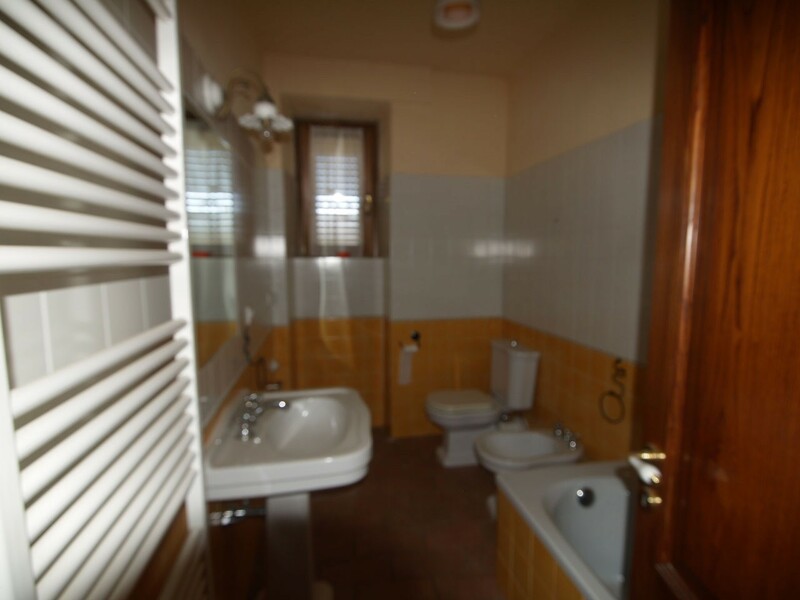 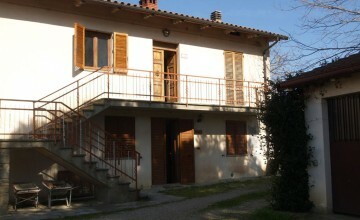 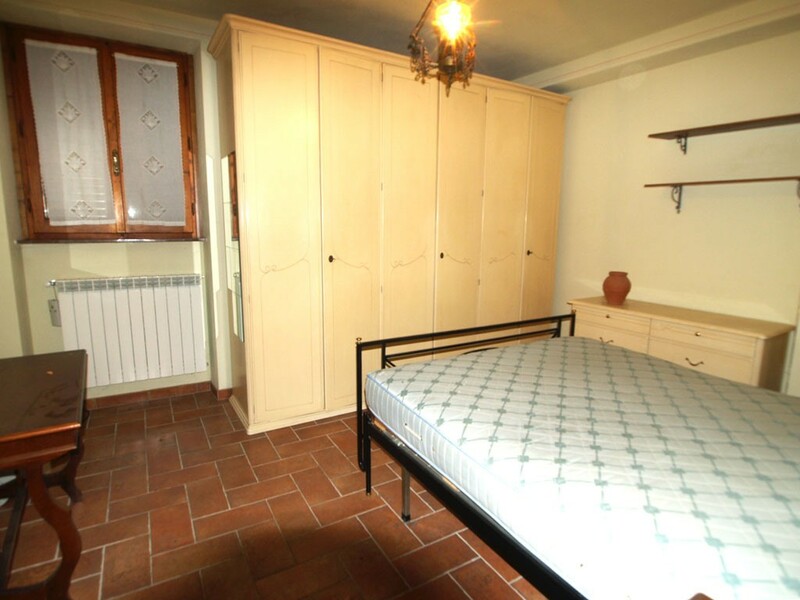 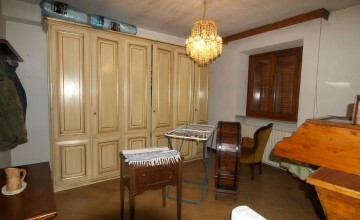 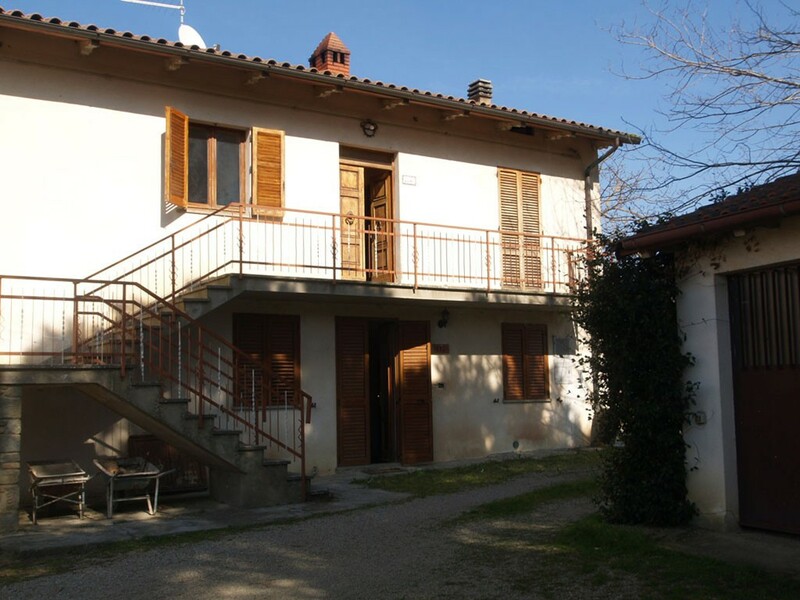 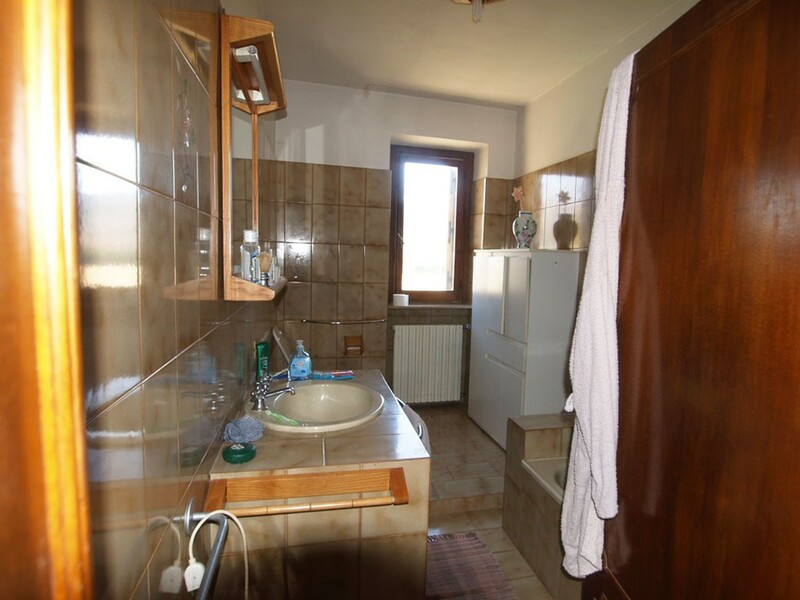 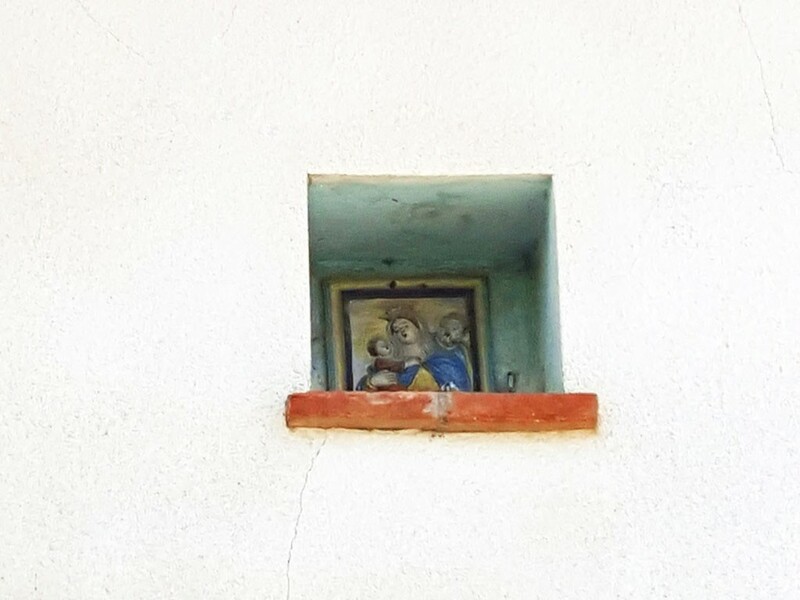 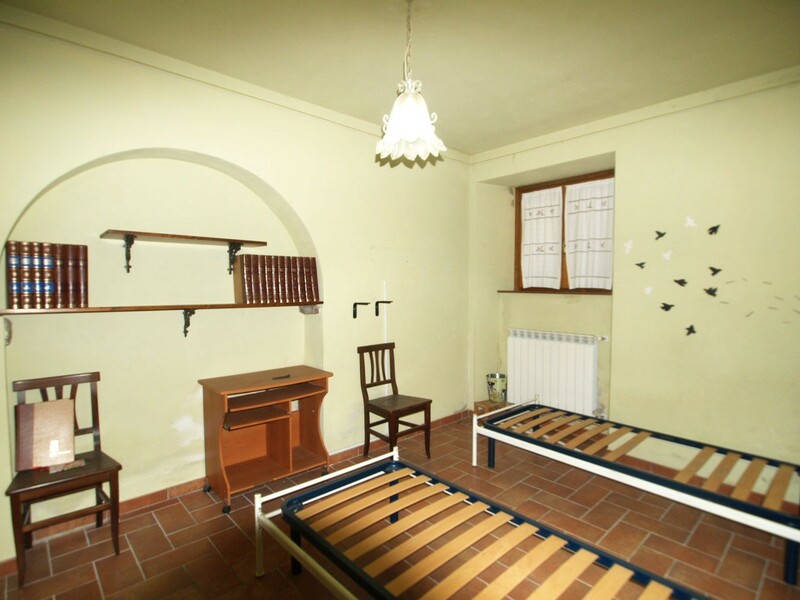 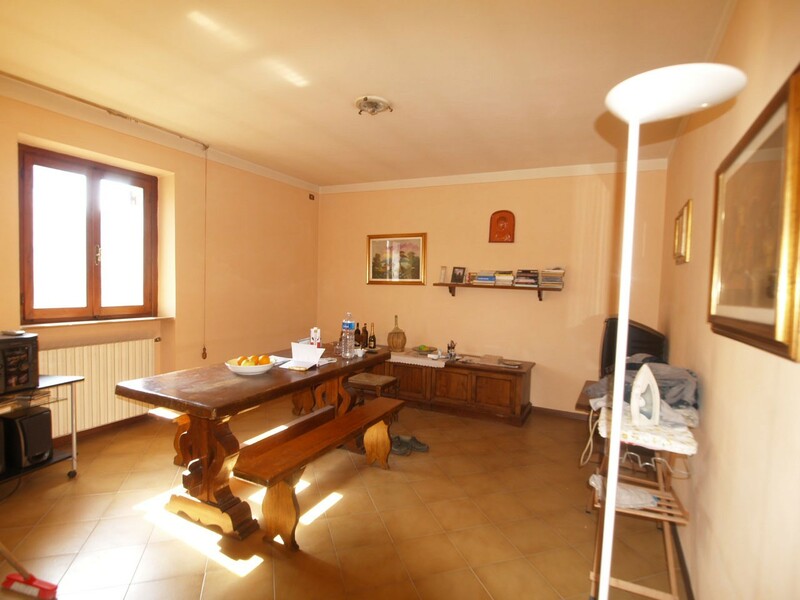 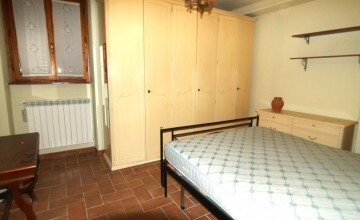 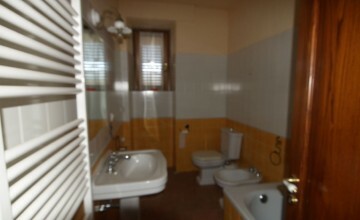 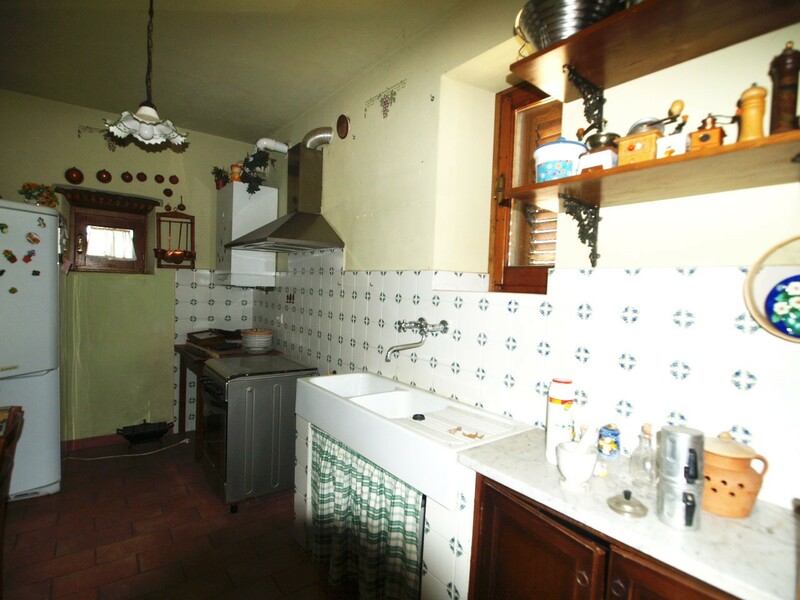 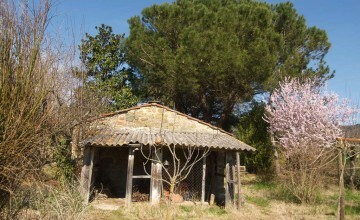 The property includes a 1500 sq.m. 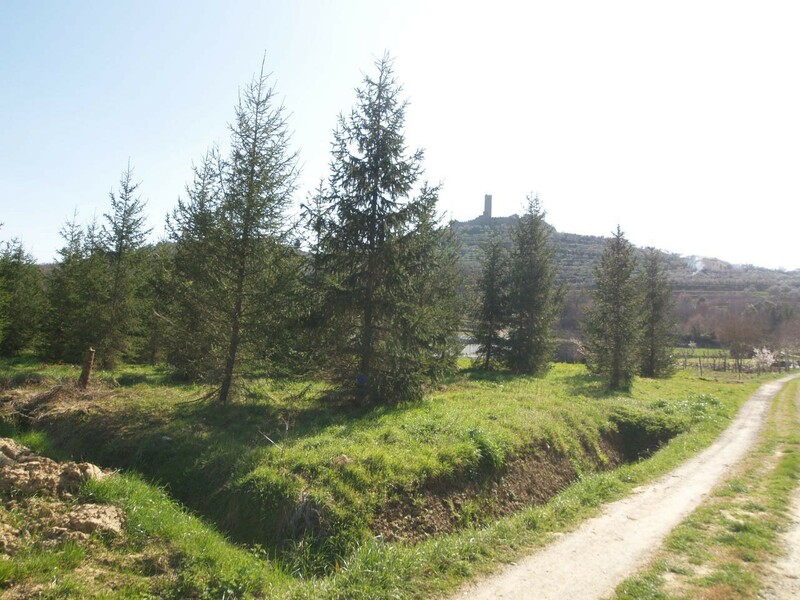 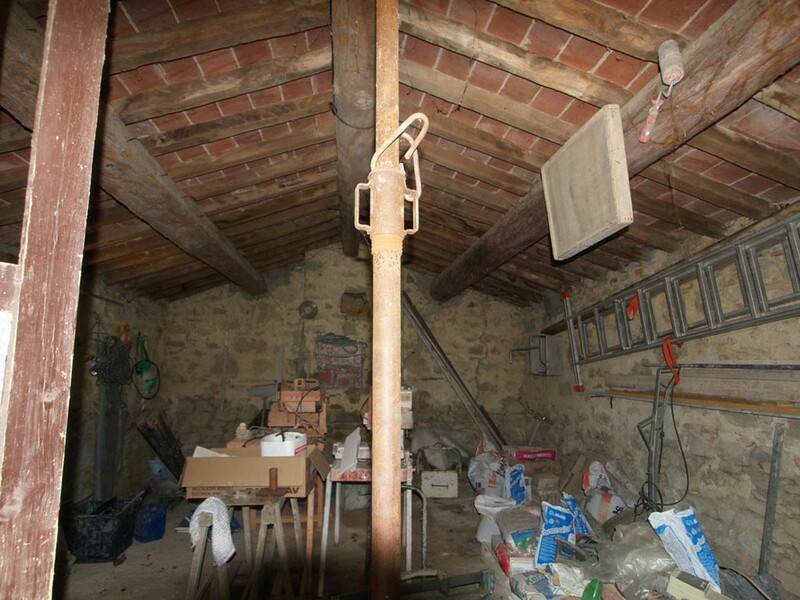 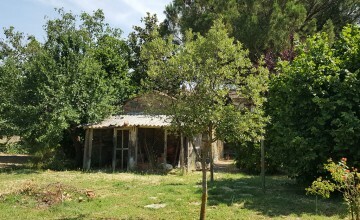 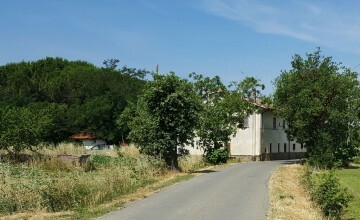 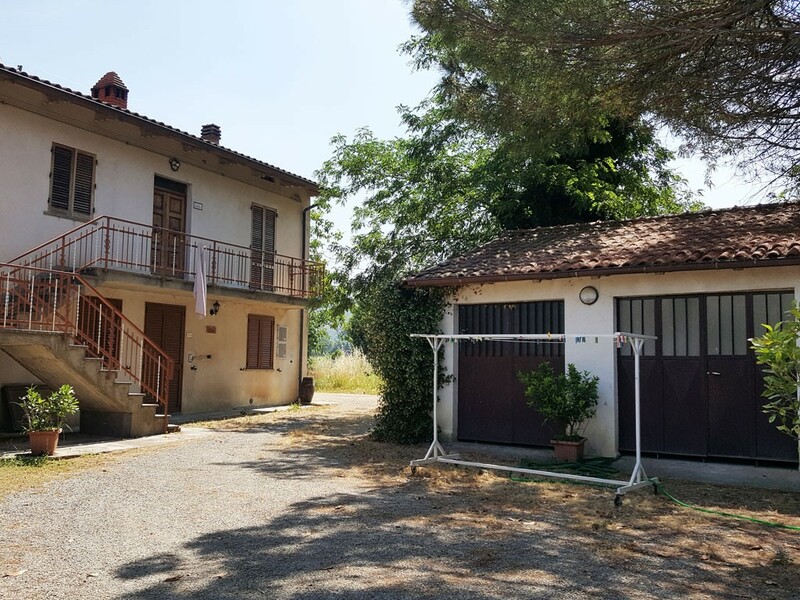 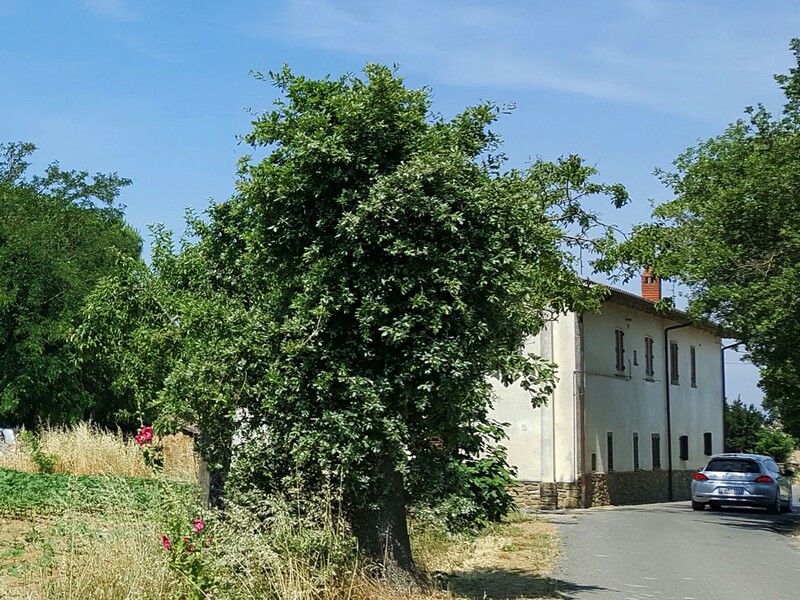 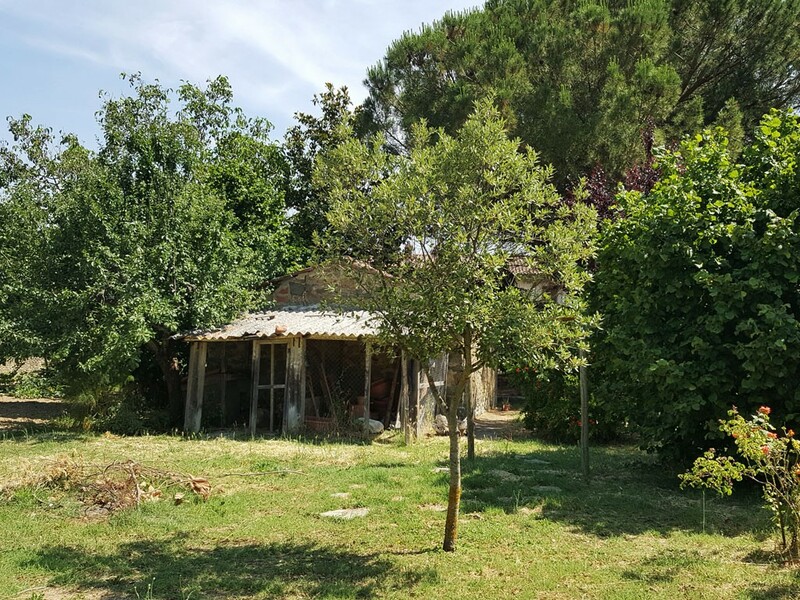 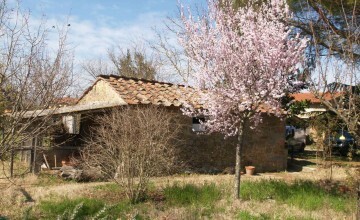 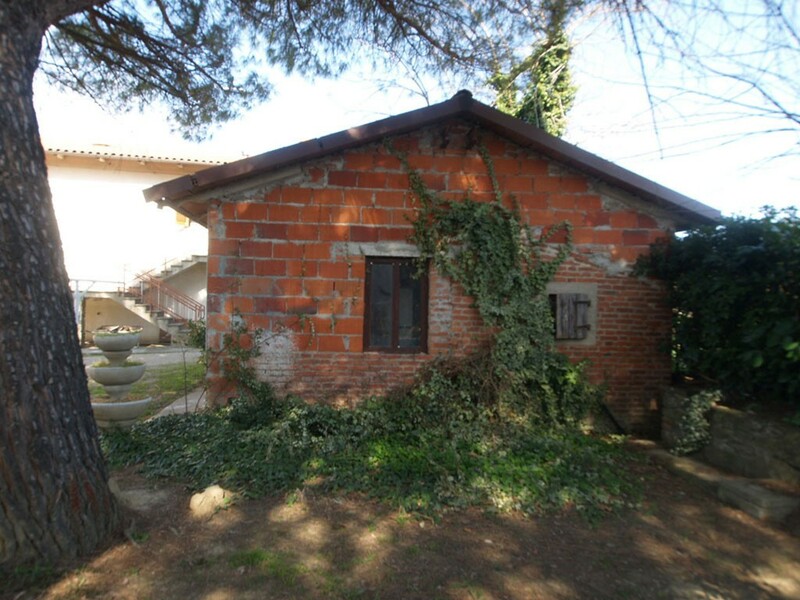 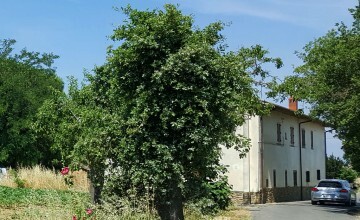 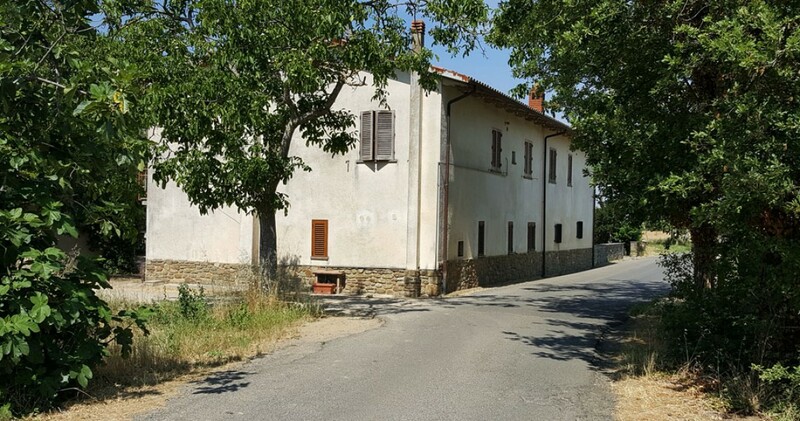 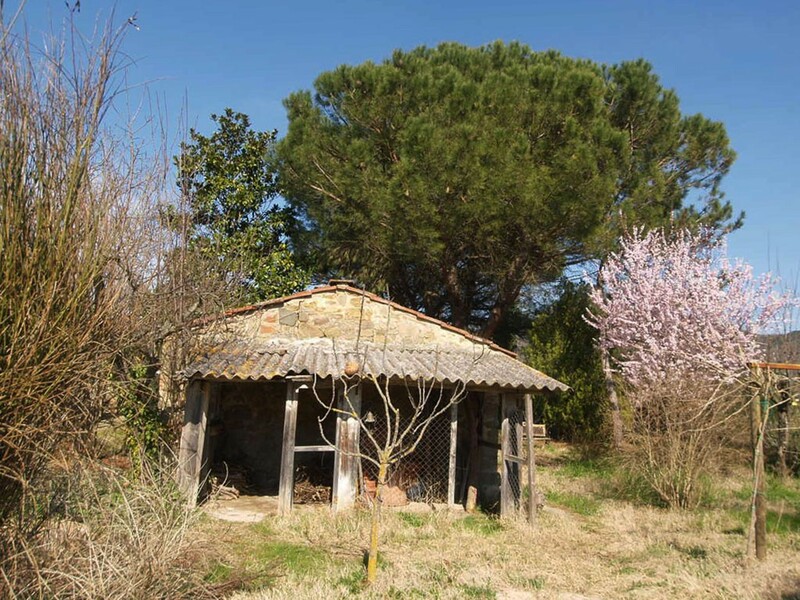 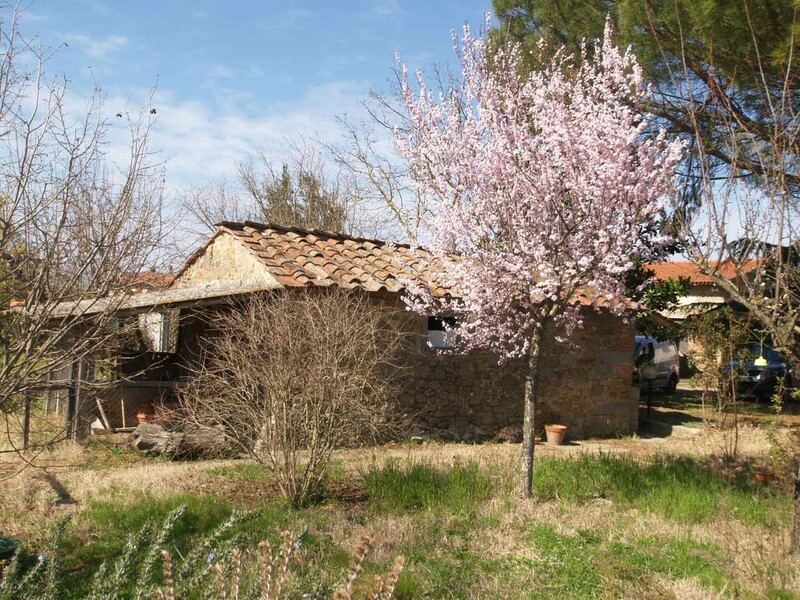 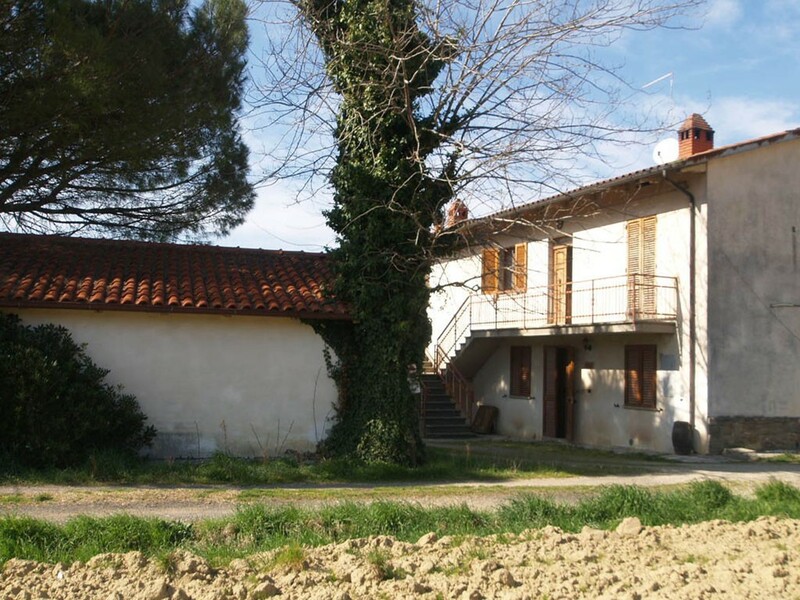 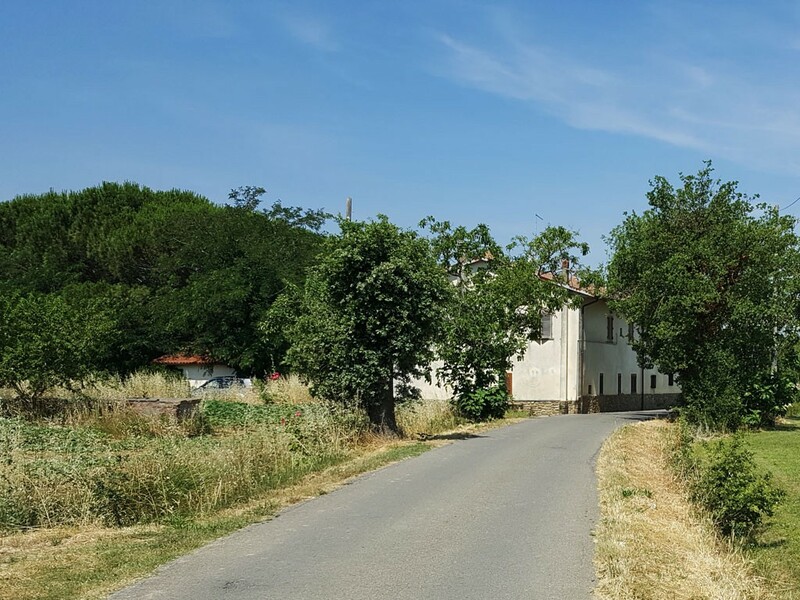 plot of land with some fruit, pine and cypress trees, garage and old stone outbuilding. 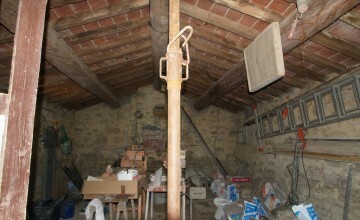 There is enough room for a swimming pool. 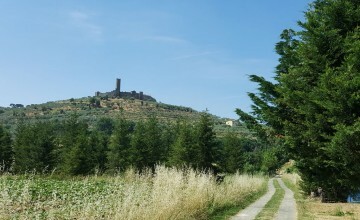 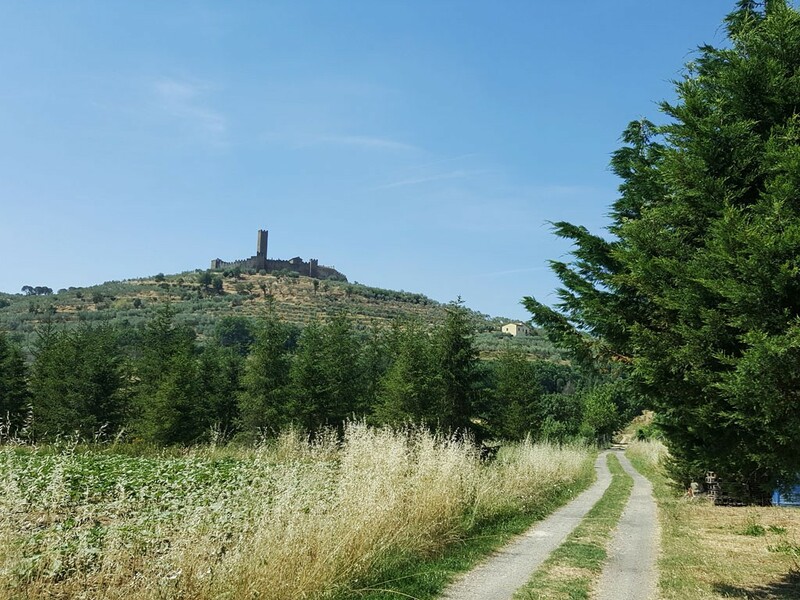 The Castle and Montecchio hamlet can be seen from the garden and the house. 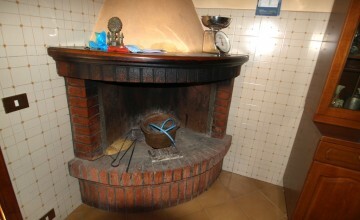 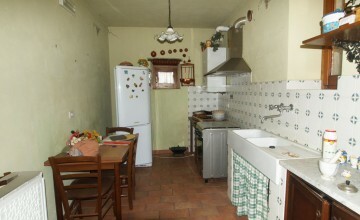 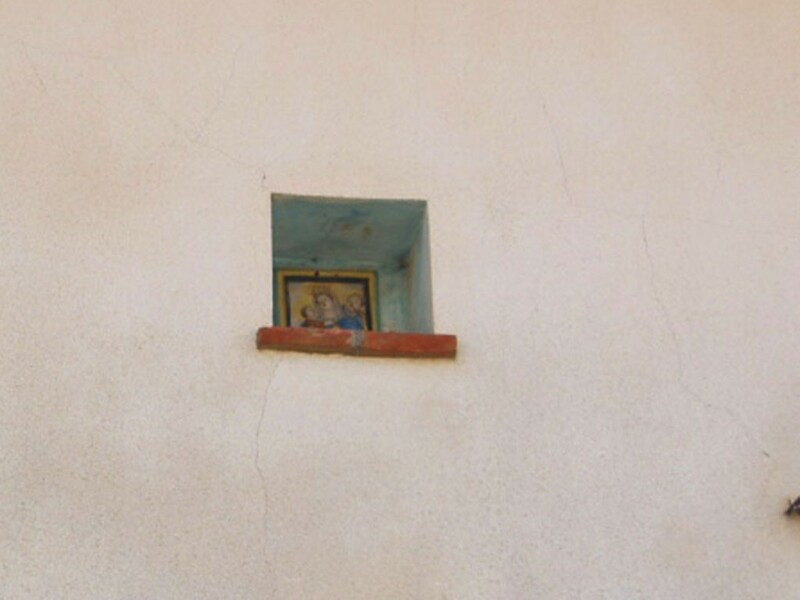 Utilities include water well, LPG gas, electricity, telephone, Sat TV. 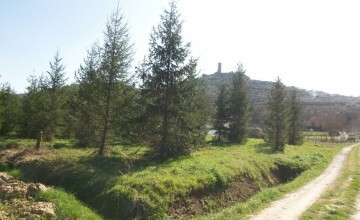 City water is available along the access road and city gas should soon reach the property. 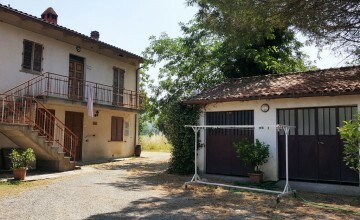 Distances: Public transport – 850 mt, Bar/restaurant – 1.3 km, Supermarket – 1.1 km, Castiglion Fiorentino centre 3 km, Siena – 75 km, Perugia – 57 km, Florence – 98 km, Arezzo – 21 km.